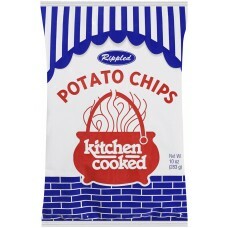 Kitchen Cooked Chips began during the 1930's, when Flossie Howard began making potato chips as a way to make ends meet during the Great Depression. 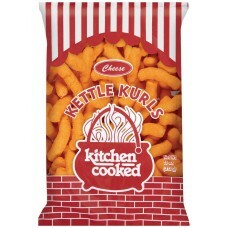 She lovingly did the entire process of peeling, slicing and cooking the potatoes by hand in small, cast iron kettles. She began the business from her home, and later moved to a building that was once was a church in the small Central Illinois community of Farmington. The homemade chips were a huge success in Farmington and soon word spread and the Howards began distributing to other local communities. It enabled the family to run a profitable business nearly 35 years. When Flossie’s health deteriorated the business was sold to local man Richard Blackhurst. 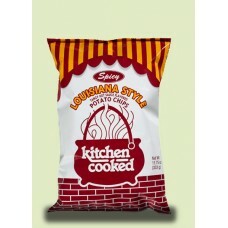 In 1976 a potato chip factory was built in Bushnell, Illinois to fulfill the expanding market. A new factory was also built in Farmington. 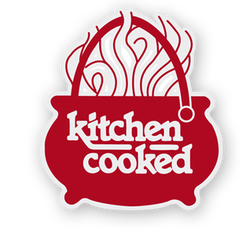 Since the companies beginnings in the 1930’s Kitchen Cooked has been proud to support the local community by buying local ingredients for their flavorful products. the company employ nearly a hundred people - From the farmers that grow the potatoes to the salesmen who stock grocery store shelves.